Booked this hotel through Expedia with a really good rate. Yama is small but comfortable, and situated on a hill with a great view. A little far from the kata beach, but there is a shuttle bus offered by the hotel. Overall a great place and price! When getting here I was a bit nevous about my accommodations because orbitz messed up and put my in the wrong room from what I had selected and I was advised that my prefered room type was no longer available. When I got to the front desk, I explained my situation and showed them proof of the incident. Right away they were so accommodating. They gave me and upgrade to a corner suite and that alone won me over. The hotel is nice, quiet, and clean. I haven’t had any food or drinks yet but I will over the course of my stay. However so far so good. I love it here. And my view is amazing. I can also see Bug Buddha from my bedroom. This hotel is spacious and clean. The staff is friendly and make sure that your needs are met. The shuttle was convenient and the times are reasonably. I have the room with pool access and a beautiful view. I can’t wait to come back next year. Nice quite location Food good swim out villa great value. Great place to watch sunset. Staff friendly. The views over the bay are magnificent. A short stroll to kata noi beach is worth its weight in gold. Nice restaurants on kata beach with stunning views. Great place for couples. Stayed at the hotel for a 9 day getaway service was amazing. Our flight came in late we arrived at the hotel at 1am and were greeted with a fresh kiwi drink and friendly faces. The room was great, there is a pot to heat up water and coffee in the room. Housekeeping service was good, changed sheets and cleaned room daily. They offer a free shuttle to kata beach hourly until about 4pm. There breakfast buffet was delicious! They offered pancakes, omelette, fried egg. A large table area lined up with pastries and Thai noodle/rice dishes with chicken. They had another area with fresh fruit and cereals as well. The pool are was nice, it’s lined up with comfy areas to tan on or just enjoy the pool view. They also have amazing ocean and Mountain View’s. Overall great stay would definitely recommend. Beautiful hotel, very good service, impressive We stayed for 1 night and will come back to use the service again.We recommend if you come to Phuket, don't forget, we would like to try this service.Both the atmosphere and the reception staff are very friendly. We feel warm at this reception. Kata Porpeang Market is a short stroll from The Yama Resort & Spa, Kata Beach, Phuket, and other popular attractions like Kata Beach are within a mile (2 km). This 104-room, 4-star hotel has a restaurant, an outdoor pool, and a 24-hour fitness center. Sit down for a leisurely bite to eat at the onsite restaurant, or enjoy a drink at the bar/lounge. Savor a meal from the comfort of your room with room service, or get a quick energy boost at the coffee shop/café. Buffet breakfast is offered for a fee each morning from 6:30 AM to 10:30 AM. An LCD TV comes with cable channels and pay movies, and guests can stay connected with free WiFi. The bathroom offers a soaking tub, hair dryers, and free toiletries. Other standard amenities include a balcony, a refrigerator, and a minibar. 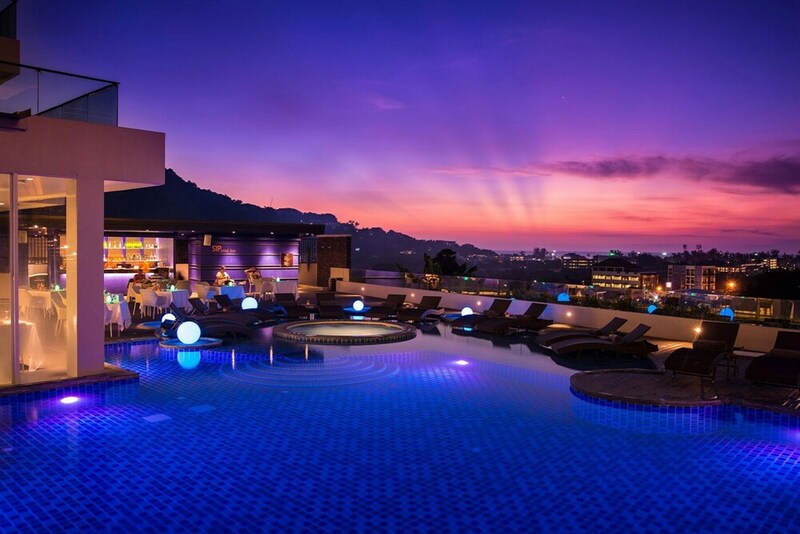 The Yama Resort & Spa, Kata Beach, Phuket features an outdoor pool, a children's pool, and a 24-hour fitness center. There's free parking, and an airport shuttle (available 24 hours) for THB 1200 per vehicle one-way. Multilingual staff at the 24-hour front desk can assist with luggage storage, securing valuables, and tours or tickets. Other amenities at this family-friendly hotel include free WiFi in public areas, a conference center, and a free kid's club. Senzees - Restaurant specializing in Thai cuisine. Open daily for breakfast, lunch, and dinner. The hotel has an outdoor pool and a children's pool. Other recreation options include a 24-hour fitness center. The preferred airport is Phuket (HKT-Phuket Intl. ): 40-min drive, 27.5 mi/44.2 km.